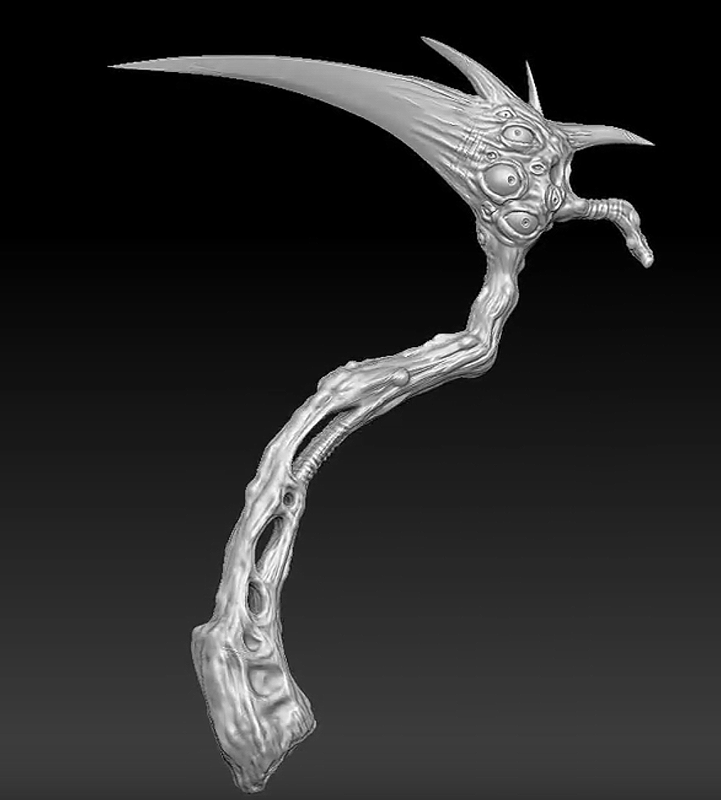 This was the model where I really got into zBrush for the first time, feeling for the flow of digital scultping. It started with a drawing--creating my own designs is my favorite thing. 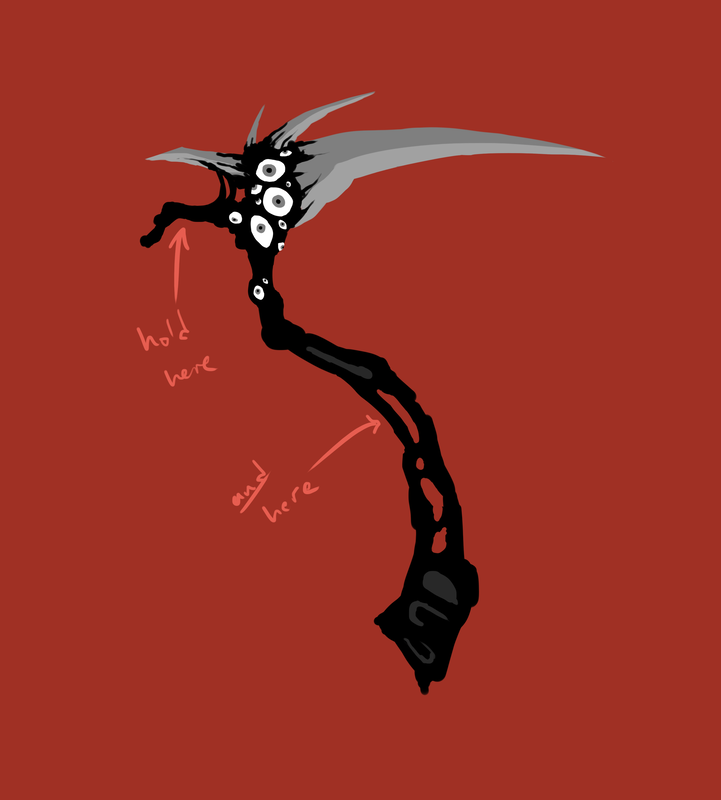 Above is a turnaround of the undead scythe I created. I wanted to create something dark and frightening--something that would make use of looking lumpy and gross in zBrush. I love the horror genre, and this was incredibly fun to design and sclupt.